You are here: Home / Computer / I thought I was doing a quick upgrade. Until it destroyed 2 years of work. I thought I was doing a quick upgrade. Until it destroyed 2 years of work. As you may have noticed over the weekend, my website was under construction. You may have also noticed that there are no discernible changes this week. At least I didn’t lose everything. Which at one point, I thought I had. Actual footage of a writer working on a website. How’d I get to the point of making up new curse words about a WordPress theme? It started with me reading up about how to make an author website look more professional. I learned there are a variety of “author themes” you’re supposed to be able buy, load into WordPress, and they make the site look better while being easy to use. I then read a well-respected website that had video tutorials to show you how to upgrade your website in 30 minutes. I set aside two hours for the process, thinking it would take a normal person twice as long as promised, so I’d need to double that. After five hours of work, I shelved it. When I couldn’t figure out how to get the blog page set-up, I knew it was time. I was lucky that switching back to the original theme brought back all of my blog posts. Seriously, for about an hour or so, I thought I’d lost the whole blog. Every single aspect of the web page these was a fight. None of it was intuitive. When the video failed me, I downloaded the user manual and tried to read that. 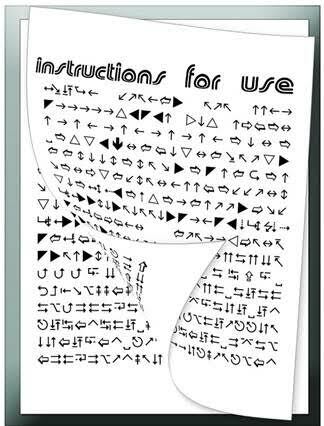 If you’ve ever read a user manual, you’ll know they were written in Chinese and translated into English by people who speak Swahili. It basically reads like this to me. So much for ideal for the novice user. Another day when I wish would’ve studied computers instead of finance. I’ve sunk too much money into this theme to give up without a fight. My game plan now is to pick one thing to add to the in-progress website, focus on that, then start another. Please bear with me. I think it’ll all be worth it when I’m done, but in the meantime, if you stop by and the site looks wonky, you’ll know why! How about you? Any project you took on that you thought you’d budgeted plenty of time for, only to learn you were woefully wrong? I know nothing about open office. There are a few tricks I know for word, like autosaves and the like. Does Open Office do that? I feel your pain, and I’m sorry. They really need to make these easier! Yup. :/ How’s your going?